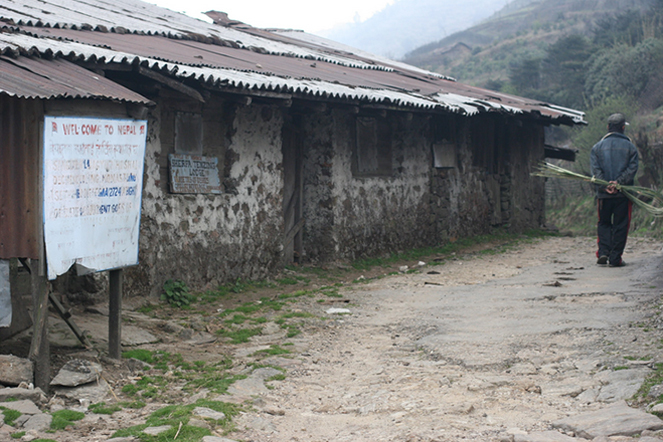 The weather can change very quickly in the Himalayan region. The sun might be shining, then in the blink of an eye you could be completely shrouded in a damp mist. 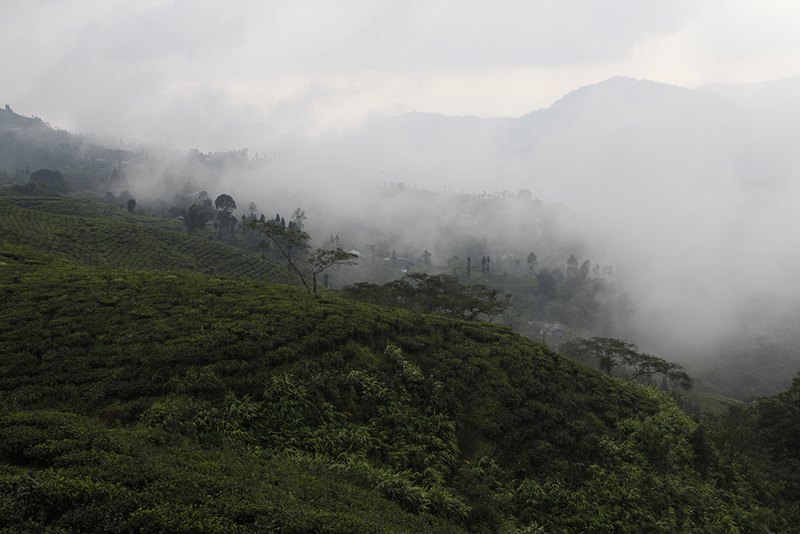 This instability, which is very pronounced in Darjeeling, explains why the first teas of the year are sometimes harvested at the end of February, and sometimes in the middle of March. I’ve just started tasting the first small batches from the new harvest, and for now they are nothing special. The earliest batches are rarely the best; they come from low-altitude plots. My selection of first-flush Darjeelings is over, the Nepalese season is in full flow, and then it’s the turn of the new-season China teas, before the first Japanese Ichibancha are ready. 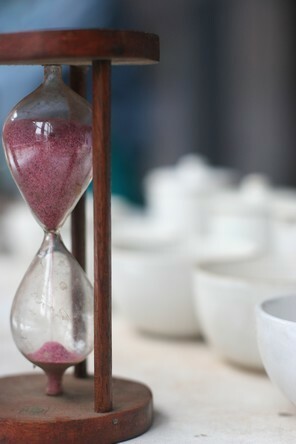 Between 1 March and 10 May every year, I can taste more than 100 teas every day, not counting the ones I infuse several times, when I’m deciding between different batches. The peak of this pleasant activity, which I always look forward to, takes place around the end of April. At this time of year, so many samples pile up every morning in the packages sent by express mail from Nepal, India, China and Japan, that I sometimes don’t know which way to turn. 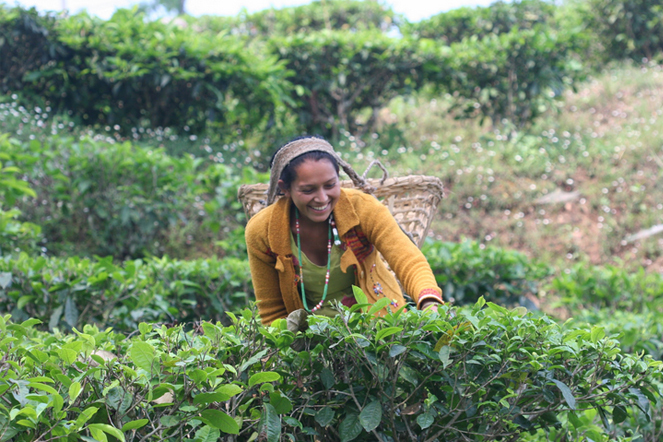 Every year, the first-flush Darjeelings open the season, followed by the spring harvests in Nepal, then China and Japan. 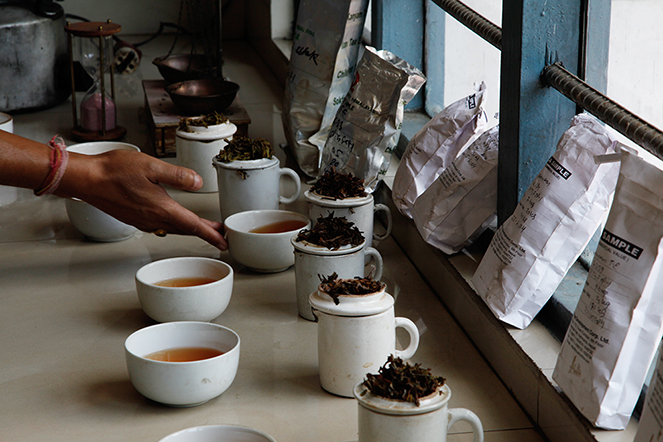 I have now started tasting the first samples of Nepalese teas. 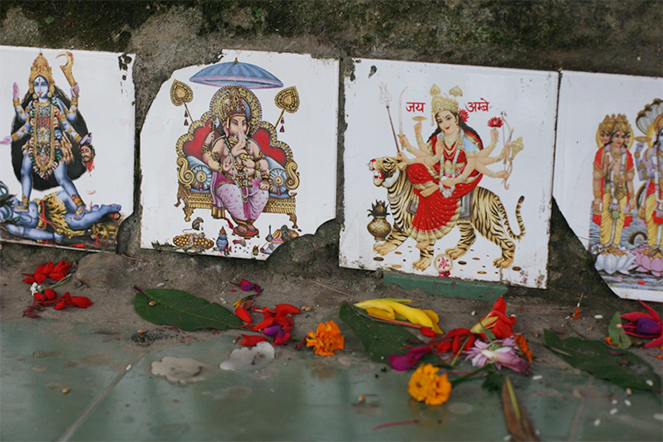 They come a few weeks after the Darjeelings, due to the harsher climate. Yet the two regions are not so far apart, barely a few days’ walk, and you could pass from one country to another without noticing it unless you pay attention to the signs. As happens every year at the same time, the first samples of first-flush Darjeelings are starting to arrive. There are never many during the first week, then during the peak of the season, around the end of March, I can taste dozens every day. Each one represents a very small batch of about 100 kilos. I have just chosen two: the Rohini “early spring” and the Longview FTGFOP1 ex-5. They are characterised by their fresh, vegetal, floral and zesty notes. 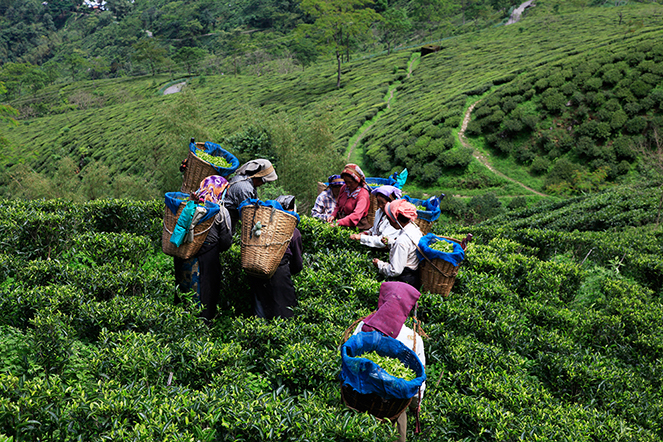 Teas plucked in the spring are considered to be the best in many production regions. China is no exception, when it comes to green teas at least. 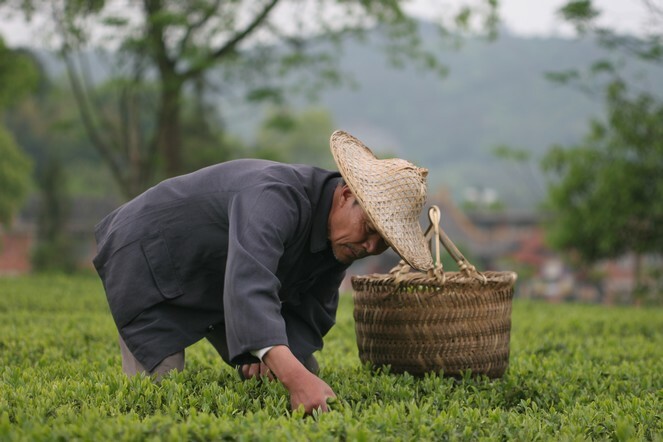 In this country, teas from prestigious places (Long Jing, Bi Luo Chun, Huang Shan Mao Feng and many others) that are plucked before the Qingming festival at the beginning of April are in such high demand that they become unaffordable. That’s it! I’ve just finished choosing the first flush Darjeelings. I’ve tasted up to 200 samples a day for just over a month, and have finally narrowed it down to the best. This year, some plantations have achieved a better quality than in previous years. This is notably the case with Hilton, Rohini and Teesta Valley. Other reliable gardens like Puttabong, Margaret’s Hope and Singbulli have surpassed themselves. I have also thought of those who are not yet familiar with first flush Darjeelings, and have selected a Gielle DJ117, which is more approachable for the palate. Overall, it is fair to say that the quality of the 2013 harvest is significantly higher than in previous years. It has been a long time since this region last experienced a spring unaffected by either excessive cold or severe drought. For those of you who are getting your first taste of a first flush Darjeeling, I’d like to remind you that these are rare and fragile teas that need to be prepared with care. The infusion time, for example, should not exceed three minutes and 45 seconds. A fine tea is all about harmony. We look for a balance between the textures, flavours and aromas. 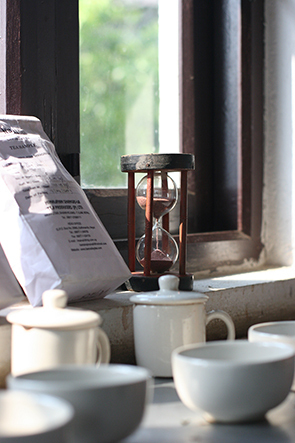 With first flush Darjeelings, the best way to find this harmony is to keep the infusion time to between 3’30 and 3’45.